Alien Gear's holsters for the Springfield 1911 Ultra Compact 3.5" offer deep concealment and unimaginable comfort with options for open or concealed carry, all made in America and backed by a Forever Warranty, 30-day test drive and free shell trades for life. 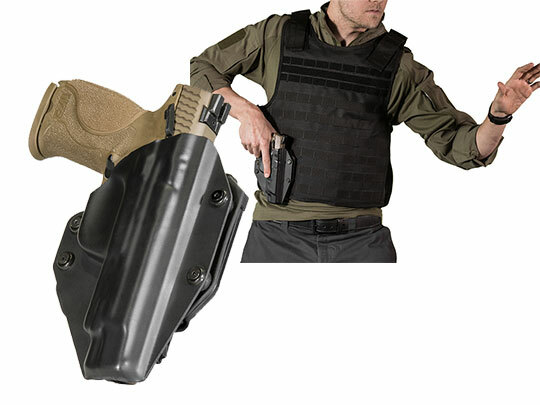 The Cloak Tuck 3.0 is an easy choice to make for a quality Springfield 1911 Ultra Compact concealed carry holster. 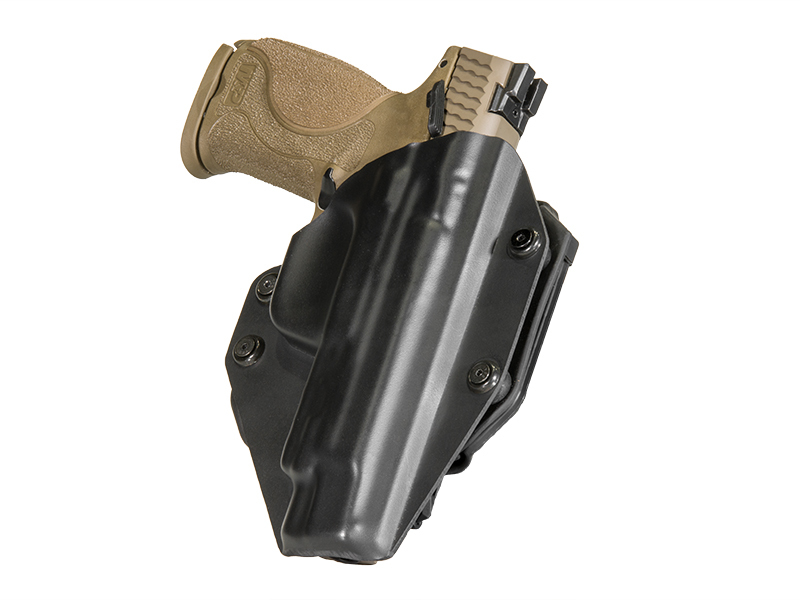 Comfortable concealment is balanced throughout this IWB holster's characteristics and materials — with customization (cant, retention, ride height) complementing them. The backer is constructed with four engineered textiles: thermoplastic elastomer for drag and retention, spring steel for support and strength, ballistic nylon for durability and reinforcement, and neoprene for moisture-wicking and cushion. 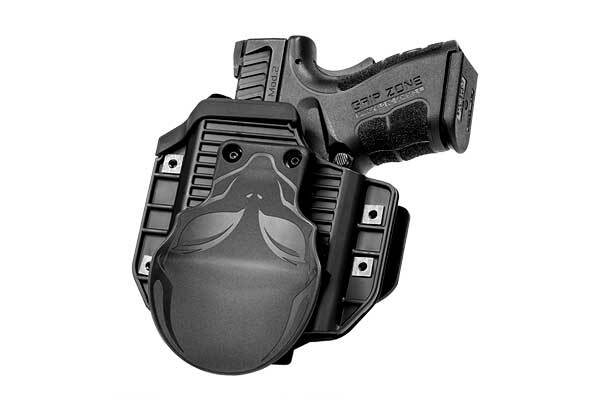 The Cloak Mod OWB paddle holster personalizes open carry. Its paddle clip may be replaced by an included belt slide attachment. Both cant and retention can be altered to preference. 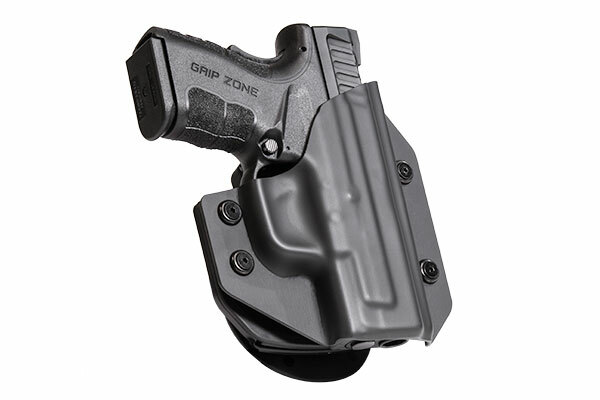 Its fitted shell is swappable for shells molded to other handguns. The Cloak Slide leather belt slide holster is a simple, effective OWB holster designed as a modernized callback to the classic holsters carried by our ancestors. The Cloak Tuck leather IWB holster is the concealed carry equivalent of that effort. 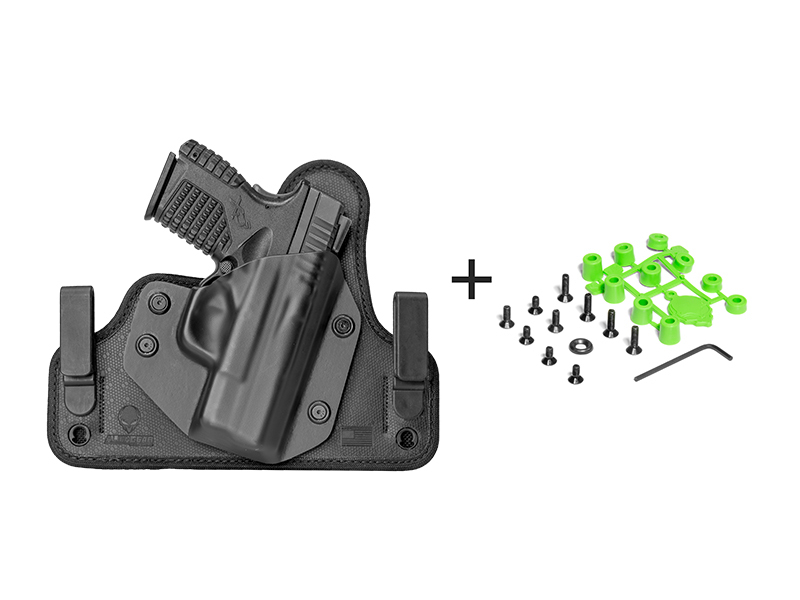 The Cloak Mag Carrier is offered with fitted buckets, in either IWB or OWB single and double configurations. All of these pieces of equipment are produced in the Pacific Northwest by American gun owners for gun owners.